Leg spinner Mason Crane will make his debut for England as they take on South Africa in a T20 at the Ageas Bowl tonight (6.30pm) start. The former Lancing College pupil, who hails from Worthing, has been included in England's 16-man T20 squad for the upcoming series against South Africa. Crane, 20, plays for Hampshire and was the first overseas player to appear for New South Wales in over 30 years earlier this year. The 20-year-old is one of five uncapped players, the others been Dawid Malan, Liam Livingstone, Tom Curran and Craig Overton, to have been called into the squad for the three-match series. 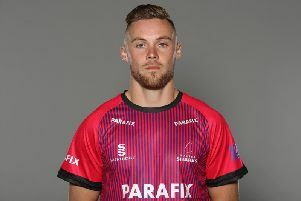 Crane was amongst the to wicket-takers in the group stage of this year's Royal London One-Day Cup competition, finishing with 14 wickets at an average of 27.42.